EeeeEEEeEeeEeE!!!! Meet the real human person that is going to be taking AHP to new heights! Kristina!! Kristina has been assisting on wedding days since the summer of 2016, she thinks pina coladas are just ok, and walks on the beach are not. She's an amazing smarty pants brunette with glasses, totally on brand. Her attention to detail and ambition has blown me away! I am so beyond thrilled to bring her into the business! "Empowered women empower women." I'm at the place in my career now where I absolutely need a good team to reach my dreams and I couldn't ask for a better team mate. I am also so thankful to be in a position to pluck this little gem away from retail and hospitality and to nurture her own dreams and skills. Her interests, enthusiasm, and creativity has been so energizing! Next up she is going to be taking command of workflows and organization so that I can focus on what I do best and offer a better overall experience to every client. Fancy new marketing materials, welcome goodies, fun surprises, and PARTIES are on the agenda! Basically, she is amazing and together we are going to be able to do MORE and BETTER! Please help me in making her feel welcome! We kicked off the year together with a trip to the biggest photo conference in the world, WPPI in Las Vegas. I immersed her in this crazy Wedding and Portrait world and we had a little fun too. She made sure we checked off every vendor on my list and was the first to witness the lightbulb going off for a pretty big and exciting gear decision....... And also we loved seeing a drag show and ate all the food. 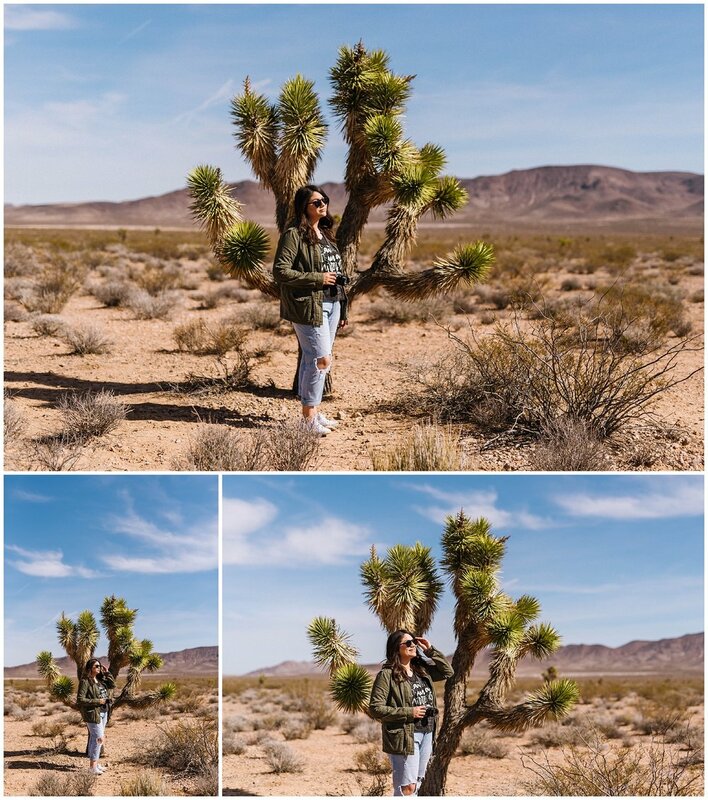 Shooting in the desert with RadRed Creative was definitely the highlight! Huge thanks to them for grabbing some rad images of us to be able to make this announcement with!